As the global refugee crisis continues to displace unfathomable numbers of people, the conditions and needs of refugees are increasingly unpredictable. As a first response team, CESRT is dedicated to providing immediate relief for those people. Responding to a disaster of which the parameters are constantly in flux demands a serious commitment to the organisation of resources. With this in mind, the warehouse is arguably the backbone of CESRT. It is where short-term volunteers tend to spend the bulk of their time and as a result, the high functioning of the warehouse is the culmination of thousands of volunteers’ hard work and ingenuity. In it exist initiatives and projects of volunteers past; from a make-shift tool-shed made of discarded wood, to an up-cycling workshop turning trash into toys, to a finely tuned clothes sorting system that ensures the most efficient distribution of resources in case of a landing. Far from mundane, in the warehouse no two days are the same. A surge of creativity might see the volunteers spending the afternoon preparing arts and crafts for Vial Games or repurposing an old shelf into a usable cupboard for the Local’s Shop. 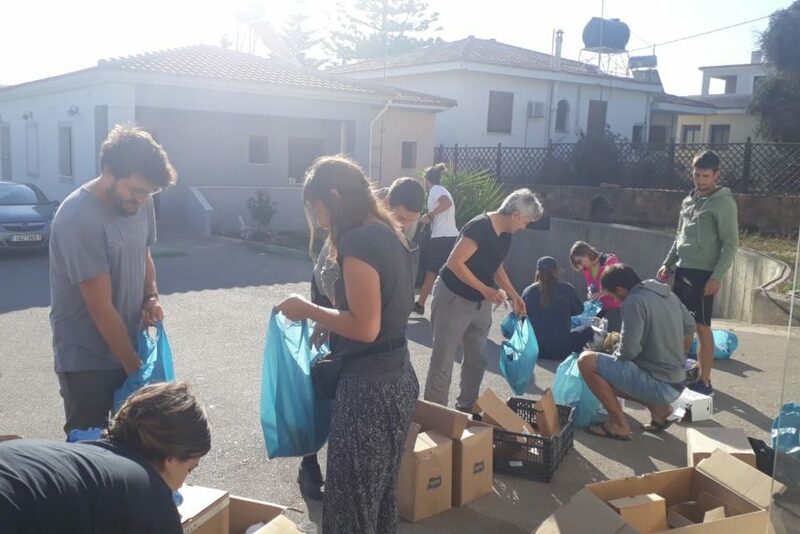 These moments would likely be sandwiched between more urgent calls to restock clothing packs or put together hygiene bags for the island’s women’s center, gather provisions for apartment distributions or sort through boxes of donations. In one way or another, life in the warehouse is at the crux of our work. The rapid turnover of goods donated and distributed is tireless, but it’s a sign that we are doing our job.